Mitsubishi Electric has a wide array of quality appliances and systems to make your space work smarter and more efficiently. As a Mitsubishi diamond dealer, A.Borrelli supplies all Mitsubishi products and appliances! Our stock of Mitsubishi products focus on individualizing each room in your house or building. These units give you control of each room's temperature in an easy, energy-efficient way. 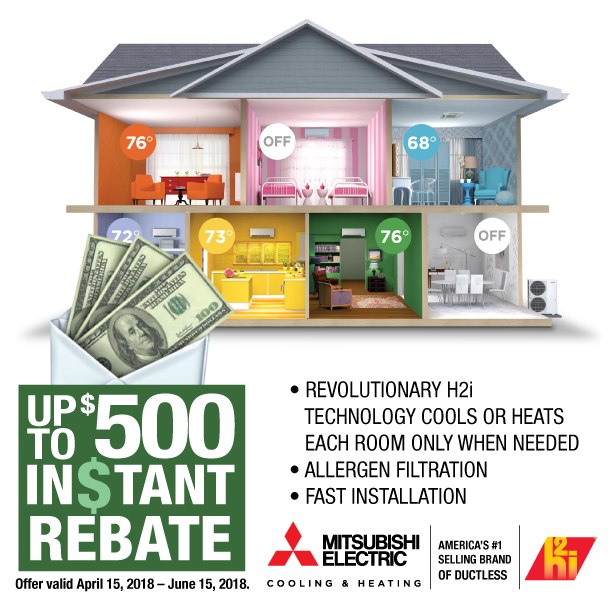 Mitsubishi is the industry leader for ductless cooling and heating products. Not only are the ductless units efficient, but the machines are quiet in your home. The Mitsubishi systems never blow unwanted cold air because the fan isn't activated until the chosen temperature is reached.